The Meal Makeover Moms also don’t believe in this stealth health notion (sneaking in vegetables and other healthy ingredients). They prefer “subtle additions” of healthy ingredients. They realize that taste is king for kids (as well as adults). 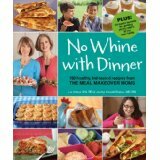 No Whine with Dinner contains about 150 recipes. The book is divided into a logical flow from Morning Makeovers, to Lunch Box Winners, to Pasta and Pizza Favorites, to Sips and Smoothies and, of course, Dreamy Desserts. A few new additions in this edition, all of the recipes are kid-tested, mom-approved. 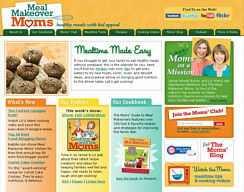 The last chapter offers 50 secrets from moms across the country to get picky eaters to try new foods. Plus they pack in tips for making enough for easy leftovers (simply a must for time efficiency today), simple substitutions and serving suggestions. Kudos to Janice and Liz for getting book number 2, No Whine with Dinner on the market. 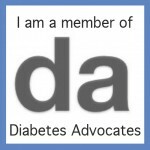 It’s another winner bound to help us busy parents more easily and sensibly feed our kids healthier. I just don’t think enough parents (and grandparents and other kid care providers) realize how big a deal this close to home effort of raising our kids with healthy habits, really is! !